Possible Treatment For Middle-East Respiratory Syndrome (MERS)? Scientists at the University of Maryland School of Medicine and Regeneron Pharmaceuticals have identified and validated two candidate therapeutic drugs for the prevention and treatment of MERS. Scientists at the University of Maryland School of Medicine and Regeneron Pharmaceuticals have identified and validated two candidate therapeutics for the prevention and treatment of MERS. MERS is caused by a virus known as MERS-Coronavirus, or MERS-CoV, and is related to the SARS (Severe Acute Respiratory Syndrome) virus. MERS is new to humans and is believed to have crossed over from camels, although other hosts, like bats, cannot be ruled out. MERS originated in Saudi Arabia in 2012 and has since spread to quite a few countries in the world. 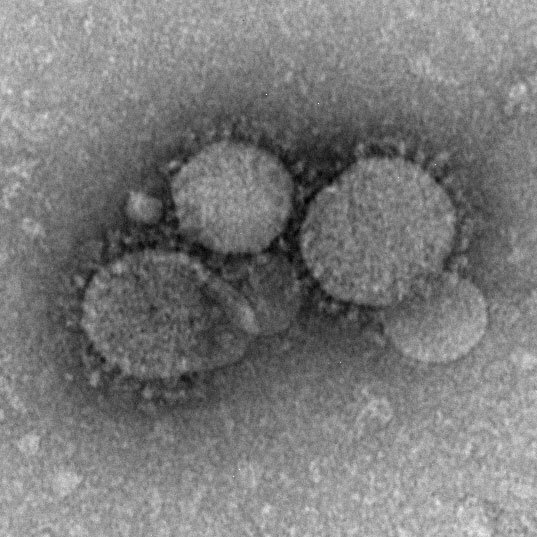 MERS is known to spread through direct contact with infected animals by eating undercooked contaminated meat, by drinking milk from infected animals, and direct human-human contact. MERS infections have a fatality rate of 40-60%. At the present time, there is a MERS epidemic in South Korea. Applied two technologies, VelocImmune and VelocGene, to rapidly develop and evaluate antibodies against a new virus disease. Successfully created a mouse model of MERS, which will help researchers understand the disease better. Generated two antibodies REGN 3048 and REGN 3051, which are able to neutralize the MERS virus. The obvious next step is to take the therapeutics to clinical trials. If found successful, they will mark a significant step forward in the treatment of MERS. Additionally, the success of the antibodies in prevention/treatment of MERS will prove that the techniques and knowledge gained from the study can be used to combat emerging epidemics. Pascal, C.,……… Kyratsous, K. (2015). Pre- and post- exposure efficacy of fully human antibodies against Spike protein in a novel humanized mouse model of MERS-CoV infection. Proceedings of the National Academy of Sciences USA.